How Far is Divya Sree Shakti Phase II? Divya Sree Shakti is coming up with elegant residential apartments at Miyapur titled Divya Sree Shakti Phase II. Each apartment is carefully designed for the best look, beautiful interiors, sufficient ventilation and offered with world class amenities. 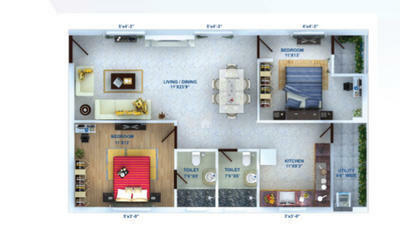 Offered in a range of 2 BHK and 3 - BHK, these are built with top branded floorings and fittings. Divya Shakti Group is a newly established Real Estate company. They are at the forefront in creating spaces that suit the lifestyle requirements of the present-day individuals. The projects they build are loaded with all the amenities for a high-quality living experience. They have a strong team of dedicated, experienced and hardworking professionals who put their best foot forward in delivering nothing but the best. Divya Sree Shakthi Phase II They incorporate latest technologies and modern equipment’s in building their projects. Their aim is to create an environment where people can have a good balance between life, work and play. A residential project of 11 nine-storied towers rising majestically from an 18-acre plot, and standalone multilevel spaces for shopping, entertainment, corporate offices, transit living and healthcare, Divya Sree Shakti is designed to be Hyderabad’s very own Villaggio Le Torri (Italian for ‘Village of Towers’). Dhivya Shree Shakthi is Hyderabad’s first luxury integrated township that aims to combine the serenity and warmth of village life with the fine nuances of modern living. 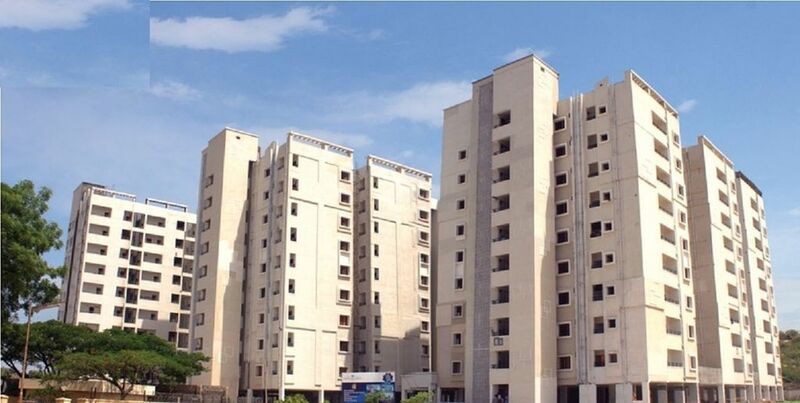 The project stands tall in Miyapur, one of the fastest growing areas of Hyderabad. With Divya Sree Shakti, the Group continues to create environments that perfectly balance the concept of live, play and work, and at an enormousness never witnessed before in Hyderabad.